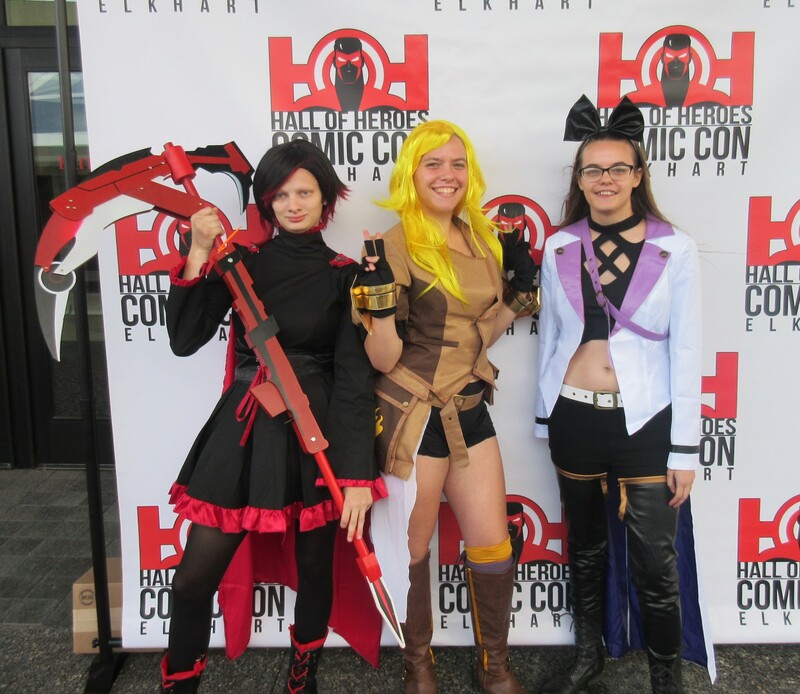 Hall of Heroes Comic Con 2018 Photos, Part 1 of 2: Cosplay Dance Party! « Midlife Crisis Crossover! 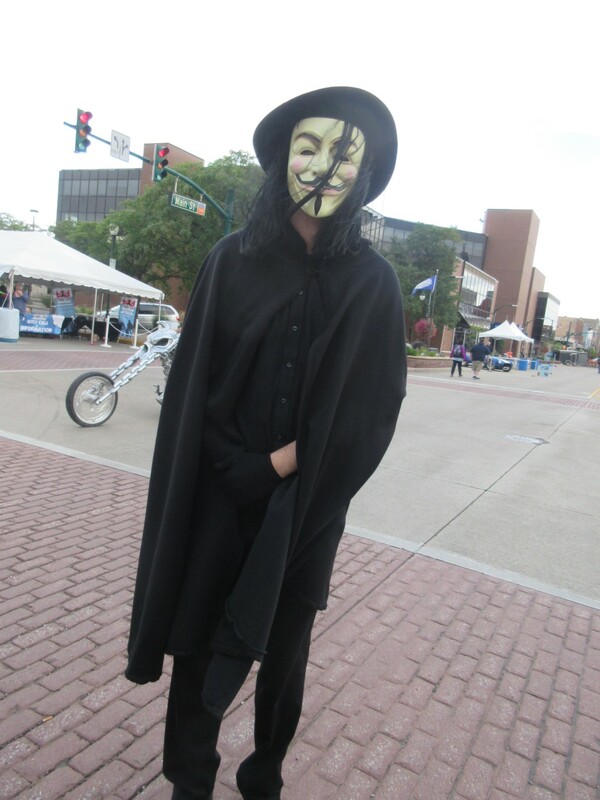 V, he of the infamous Vendetta. Meanwhile, a volunteer sneaks Ghost Rider’s motorcycle past us. 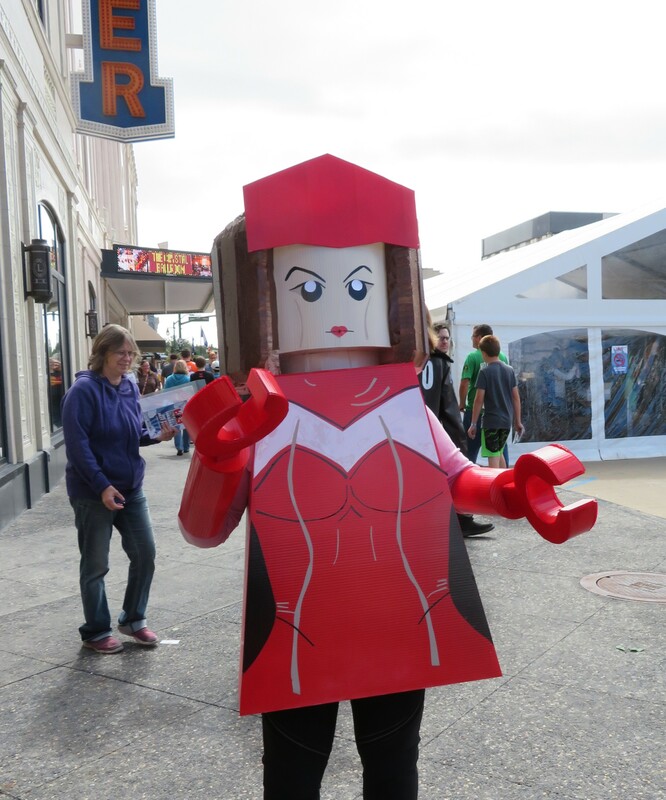 Lego Scarlet Witch, an ideal hero for a world in which nearly every character has the super-power of magical Lego-kinesis. 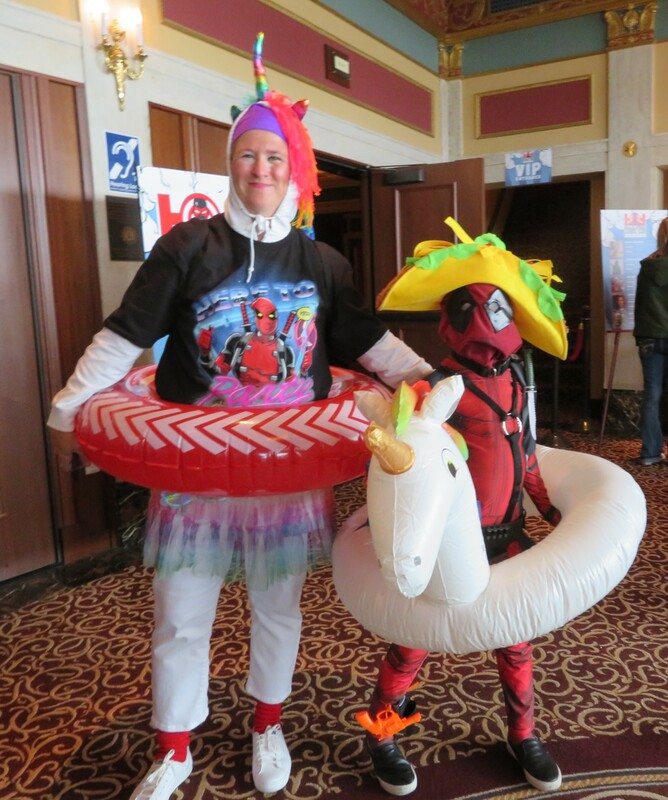 Deadpool and trusty unicorn pal on their way to — wait for it — a ‘pool party. Bonus points for the chimichanga hat. 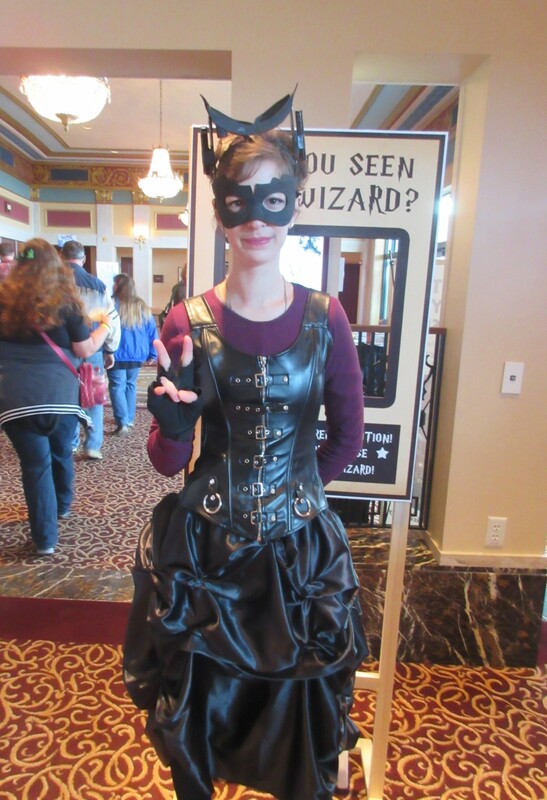 A stylish Catwoman, a.k.a. MissChibiArtist, one of the fine artists in attendance. 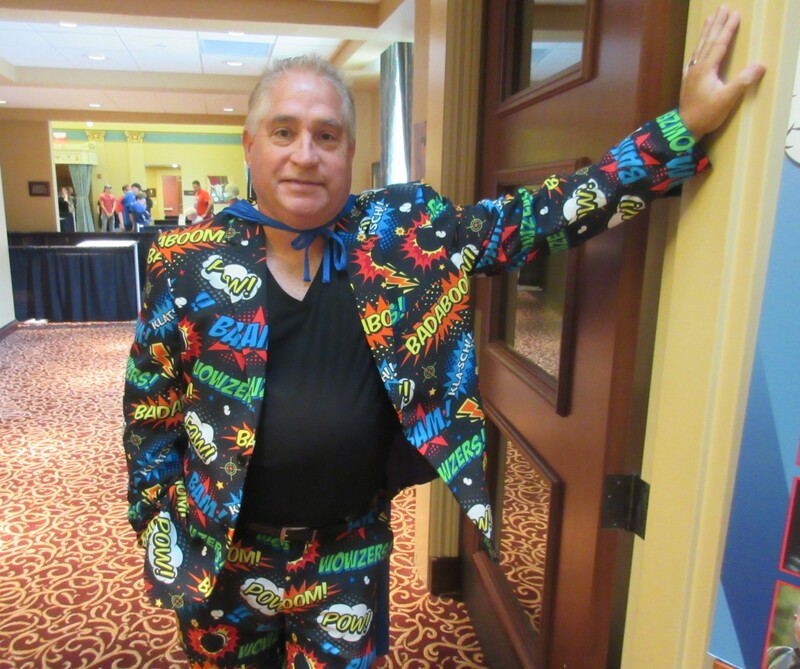 One of many helpful volunteers sporting a sound-effects suit that reminds me of my Doctor Who shirt. I was shocked to learn this is actually available from Kohls. 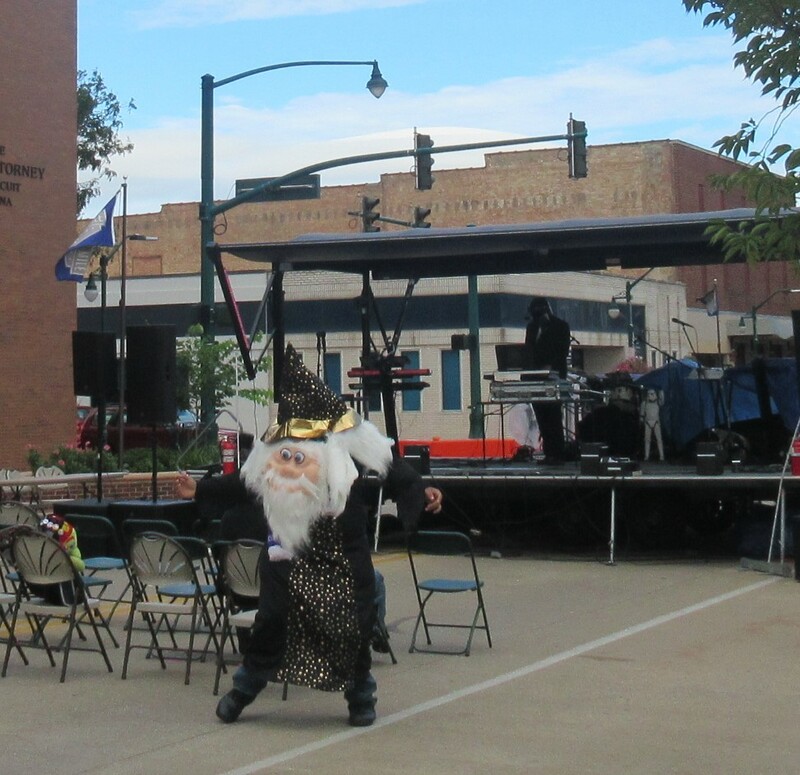 A dancing wizard, trying to bring da noise AND da funk all by his lonesome. 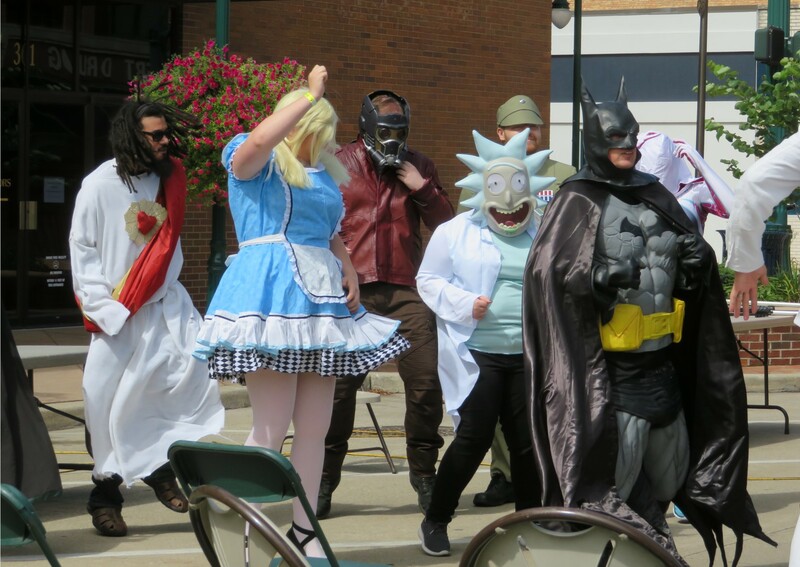 …and that was nearly it for our Sunday until shortly after 1:00, when a Cosplay Parade was listed on the schedule at the Main Street Stage, part of this year’s much-needed and smartly planned outdoor expansion onto Main Street Elkhart. 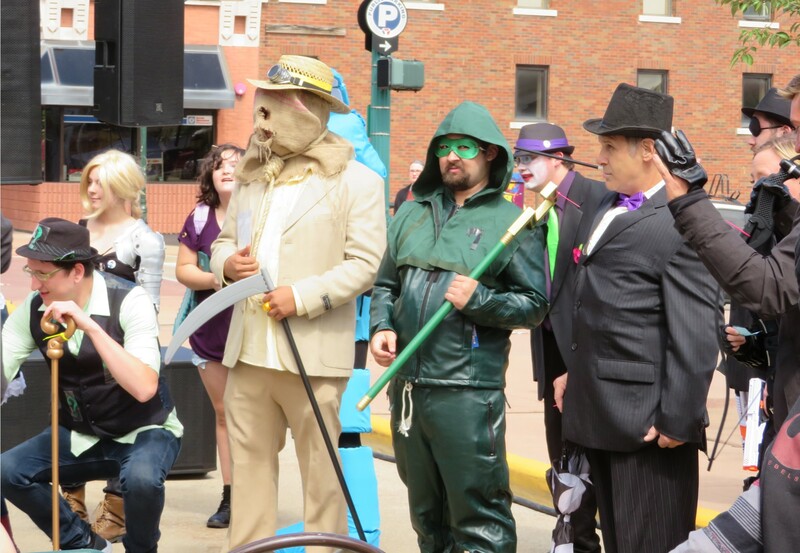 We assumed we’d find cosplayers in a single line, marching in formation to…somewhere? What we found instead: COSPLAY DANCE PARTY! Because why not. 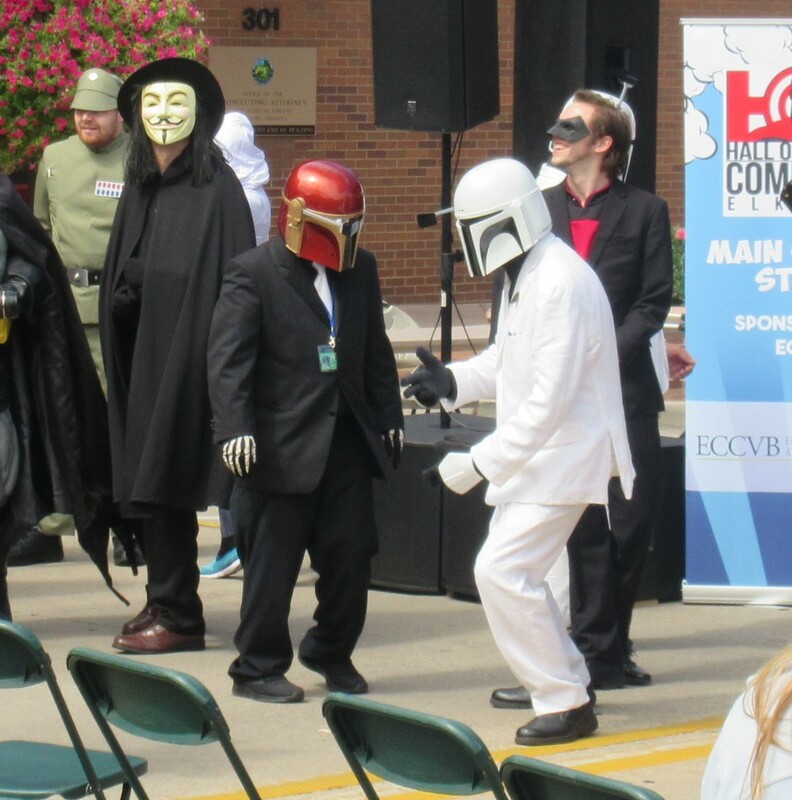 While a DJ in a Mandalorian helmet spun some tunes, fans got down with their bad selves. Let’s see C2E2 match that. Like a classic masquerade ball minus the upper-class privilege or tragic horror ending. More Mandalorians, blowing off steam after a hard day at the office. “Look, guys, I don’t know, just roll with it!” shrugs Malcolm Merlyn. 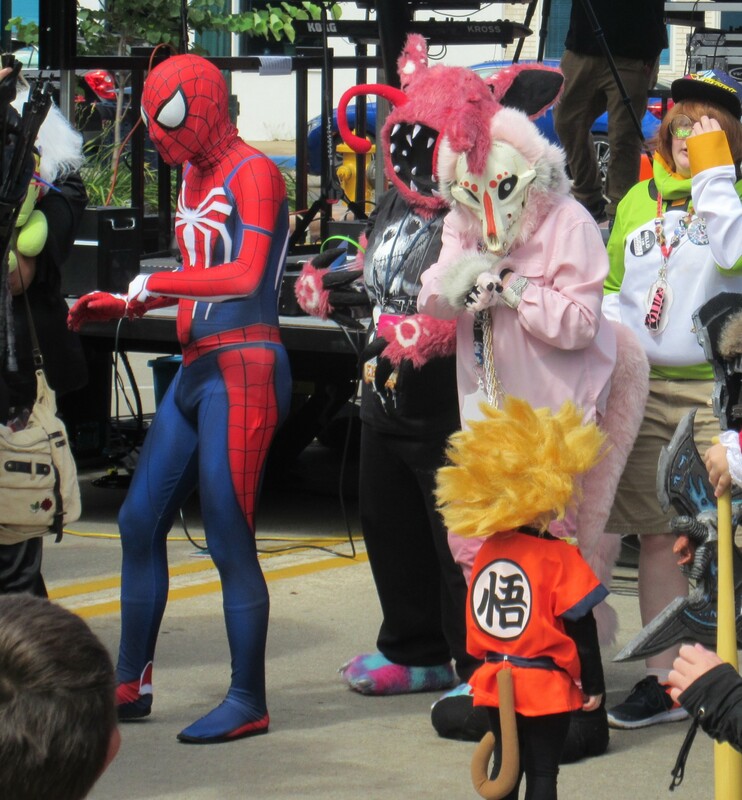 Spider-Man and an anime furry make room on the dance floor for Li’l Super Saiyan Goku. 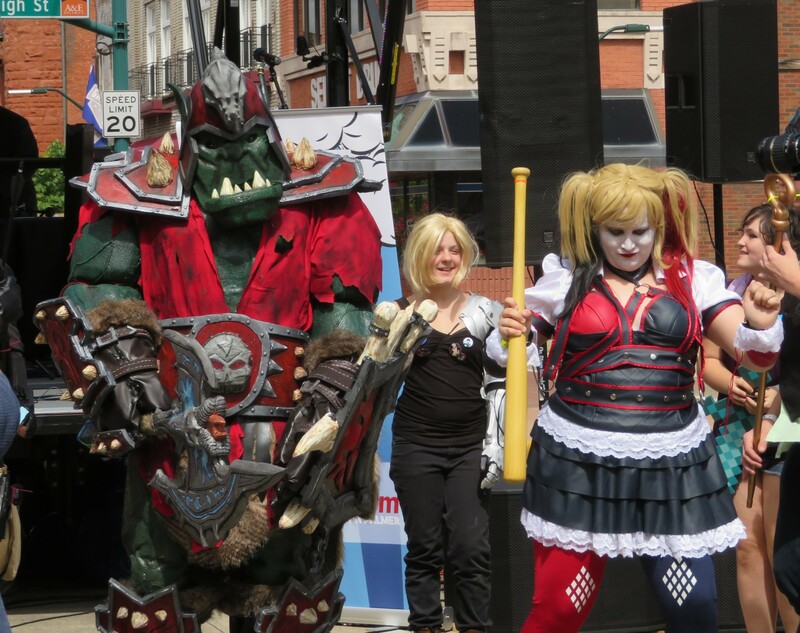 Without Joker or Ivy around, Harley Quinn finds a new partner in a Warcraft Orc. Hijinks ensue! As always, these folks were a fraction of the available talents in attendance. 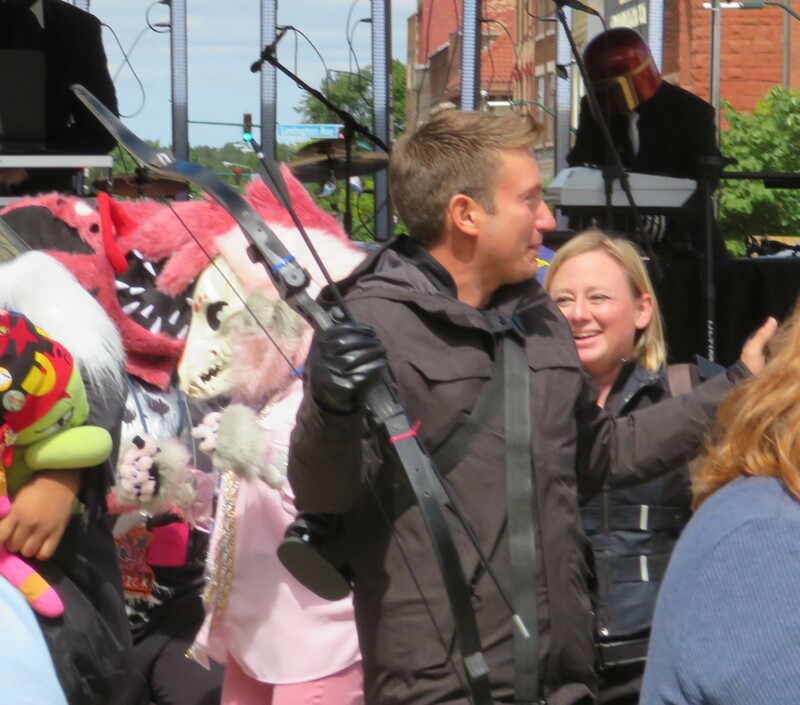 We left before the official costume contests began, but hope folks had as fun a time as we did, especially considering how humdrum our outfits were by comparison.